For 9.5-11.5mm wide United Kingdom dovetail rails. 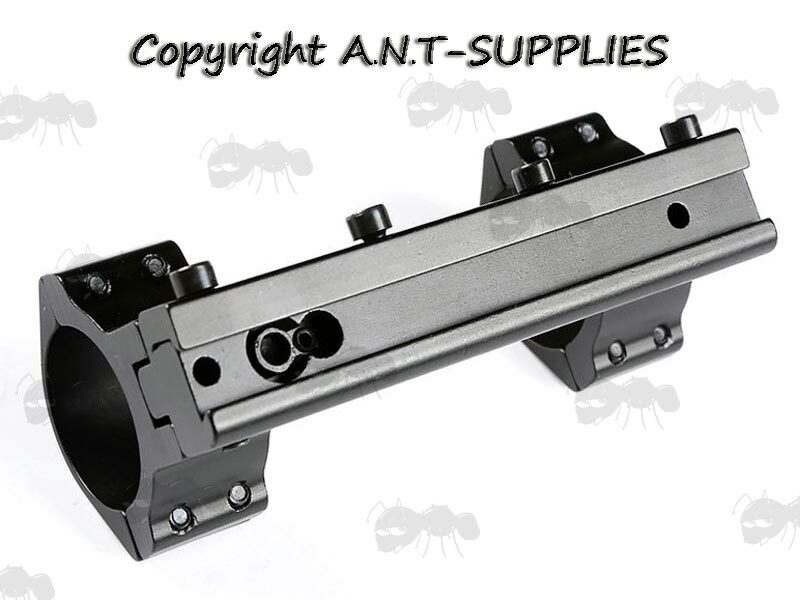 Also available ~ Adjustable laser / torch mounts page. 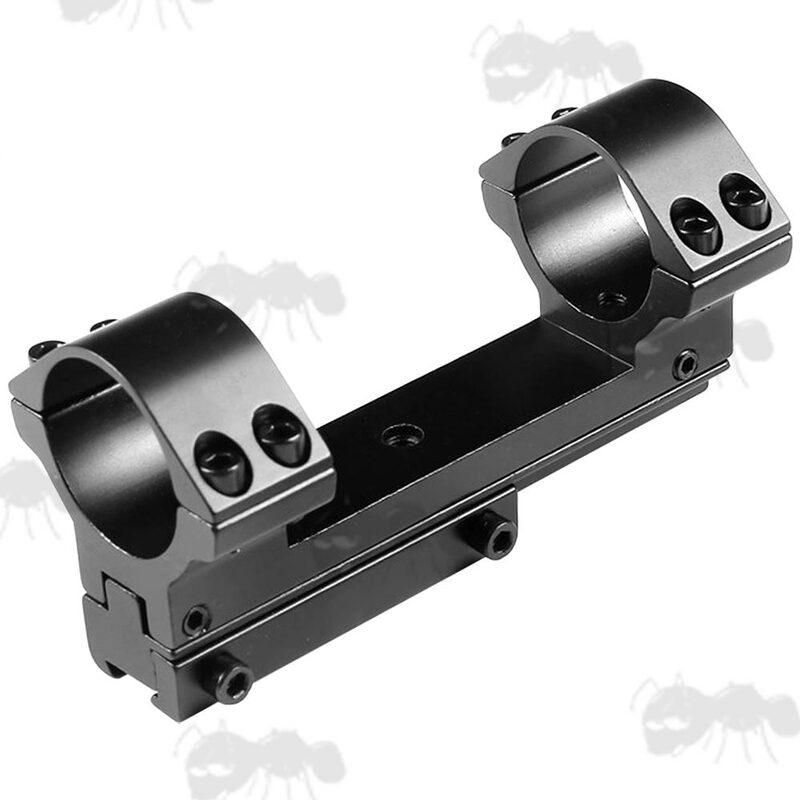 One piece, double clamp, high mount. For 1 3/16 inch / 30mm tubes, with adapters for 1 inch / 25mm. 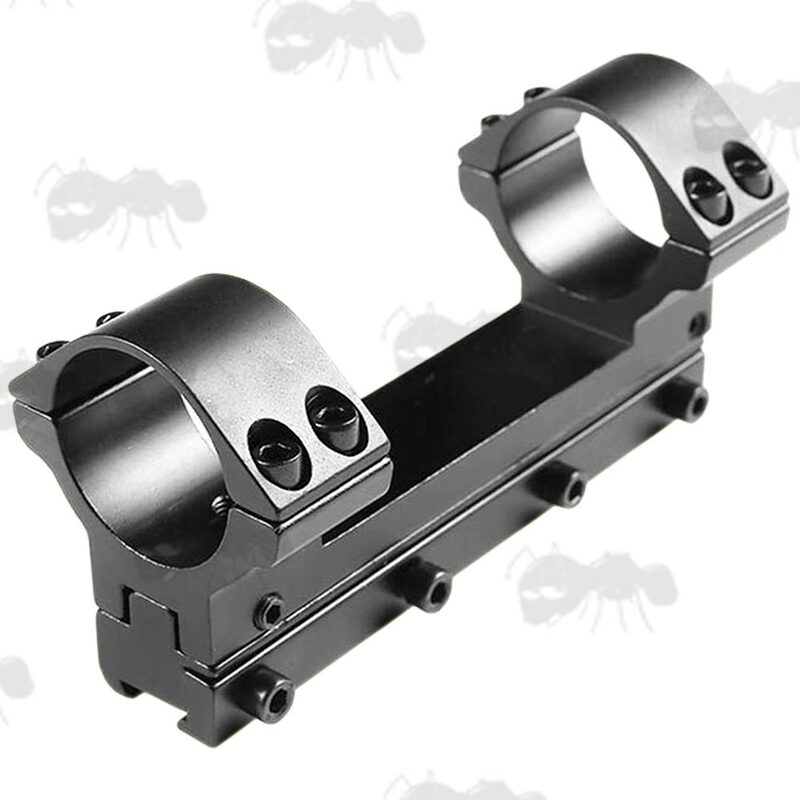 For scopes up to 66mm objective lens. Gap between the rings ~ 68mm. Overall height 56mm, width 46mm. High-grade aluminium alloy construction with a matte black finish. With grub screws to adjust for windage and elevation. Fitted with a removable recoil pin. 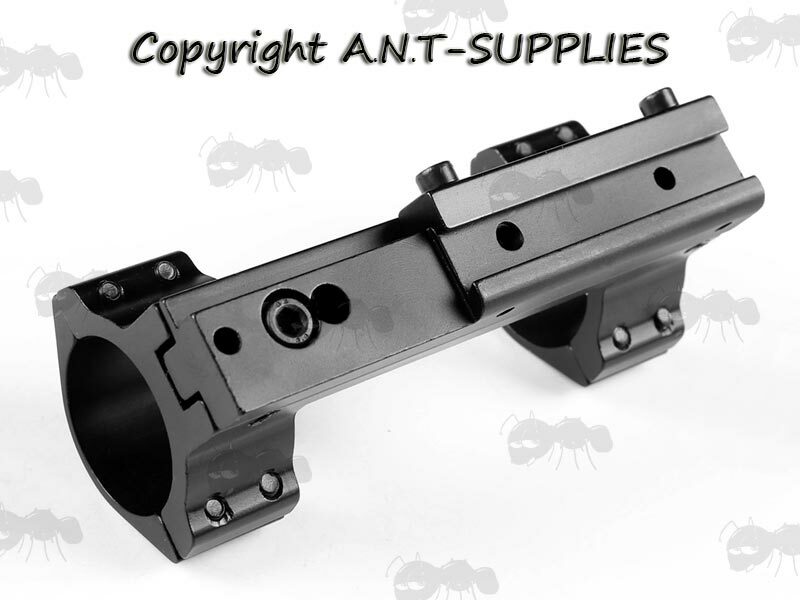 The elevation is adjusted underneath the mount, before fitting to the rail. The windage is adjusted via the four small grub screws on the sides of the mount. 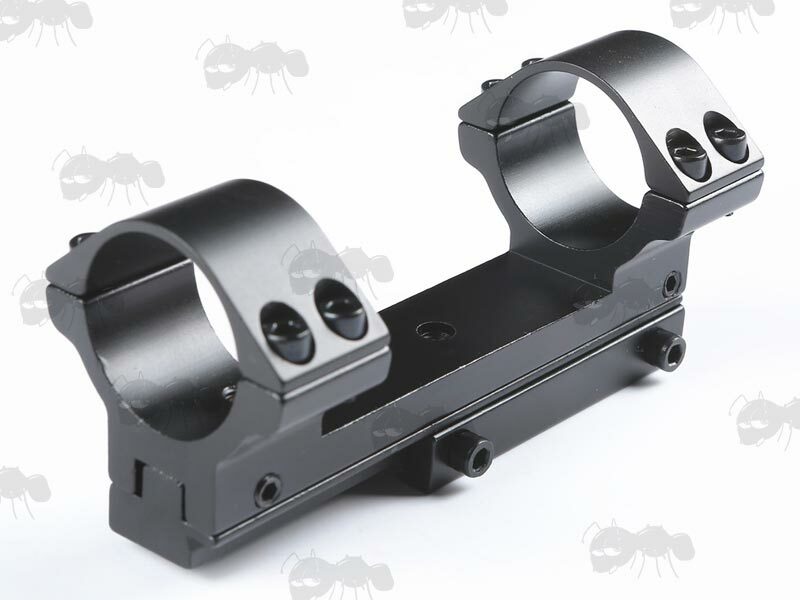 With the extended reach design, the elevation pivots from the non-extended end of the mount, so it would need to be mounted in a rear-reaching position to depress the scope. PLEASE NOTE: Do not over tighten the grub screws. You also need to release the opposite side grub screw before tightening the other side, or you will strip the threads.